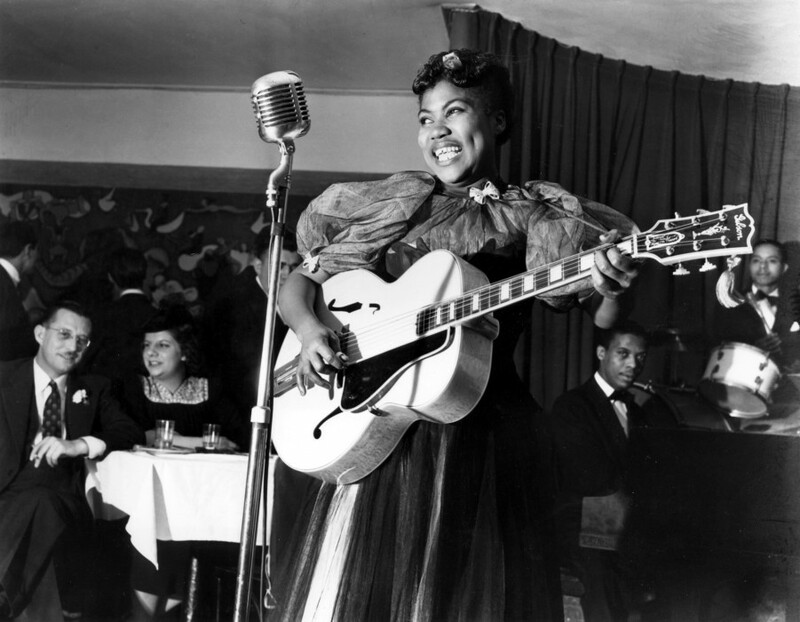 Sister Rosetta Tharpe performing in New York’s Café Society in 1940. Photo Credit: Photo taken by Charles Peterson. Courtesy Don Peterson. 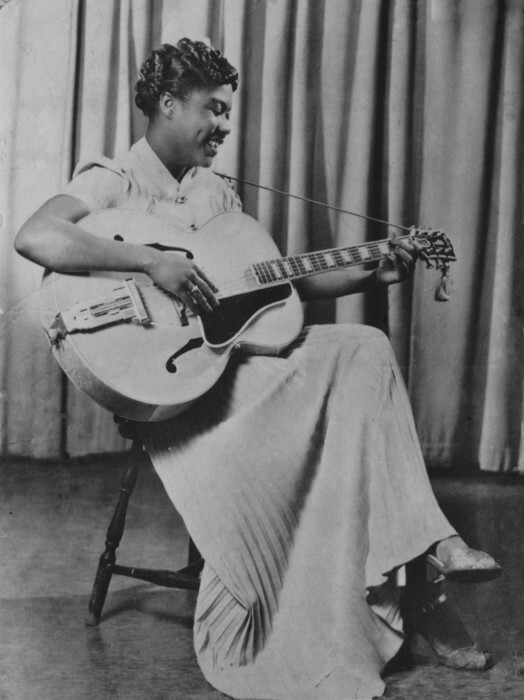 Sister Rosetta Tharpe as a teenager in the early 1930s. 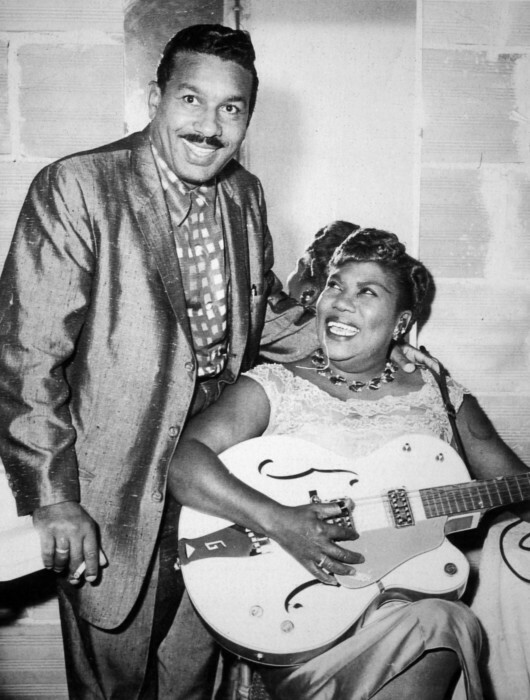 Sister Rosetta Tharpe with her third husband, and manager, Russell Morrison in the early 1950s. 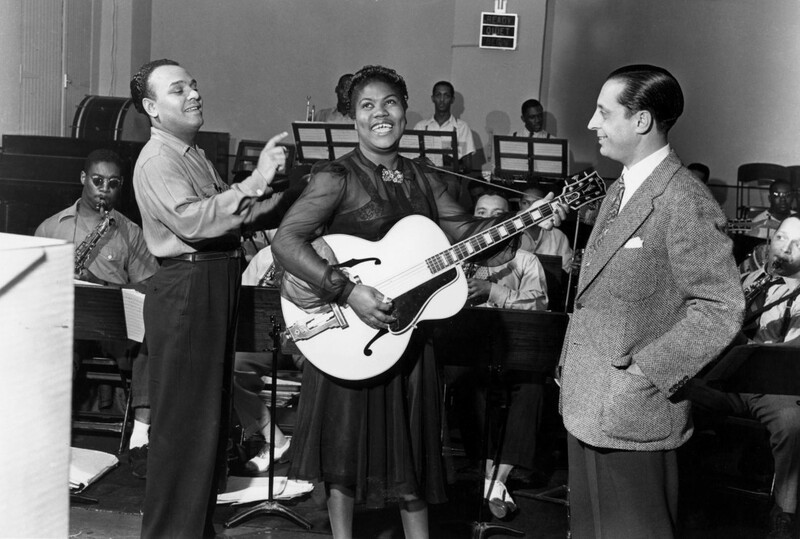 Sister Rosetta Tharpe recording at Decca Records with bandleader Lucky Millinder (left) and manager Moe Gale (right) in 1941. 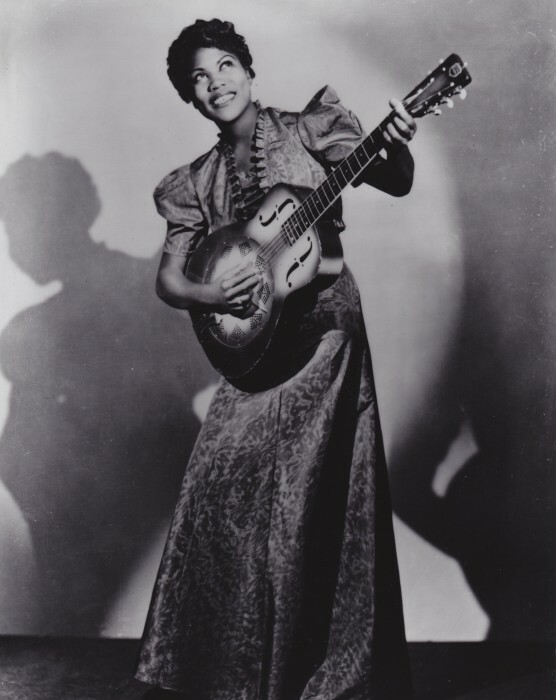 Full length publicity photo of Sister Rosetta Tharpe at the age of 23. Photo taken in 1938 by James J. Kriegsman. 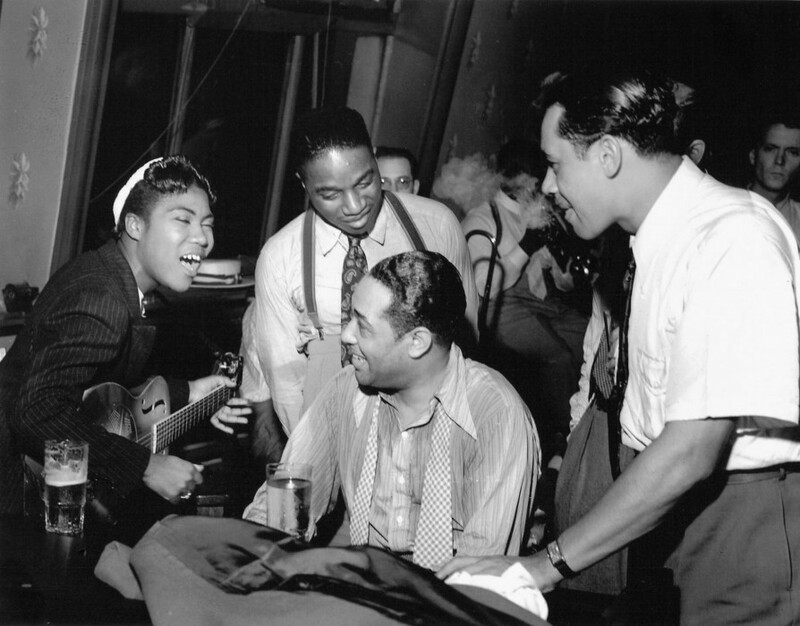 Photo courtesy of the Schomburg Centre for Research in Black Culture. 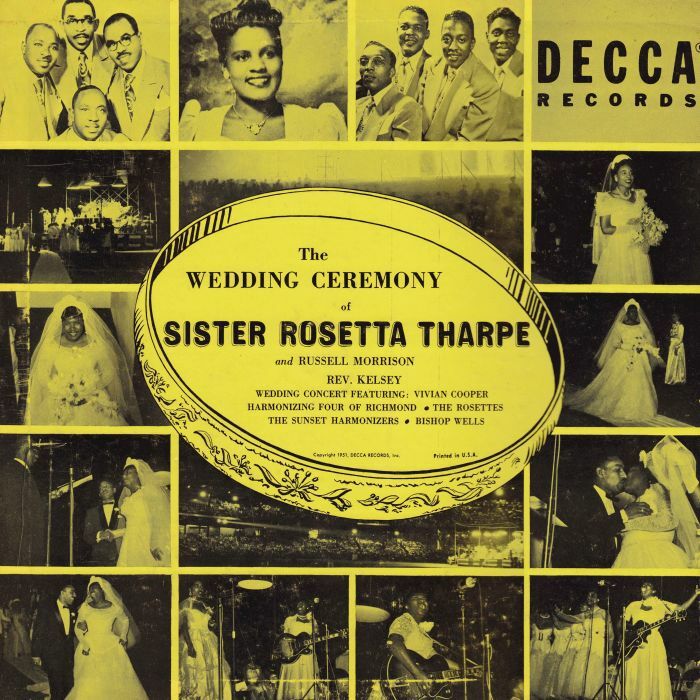 Cover of the Decca Records recording of SRT’s third wedding, to Russell Morrison, on 3 July 1951 in Washington’s Griffith Stadium. 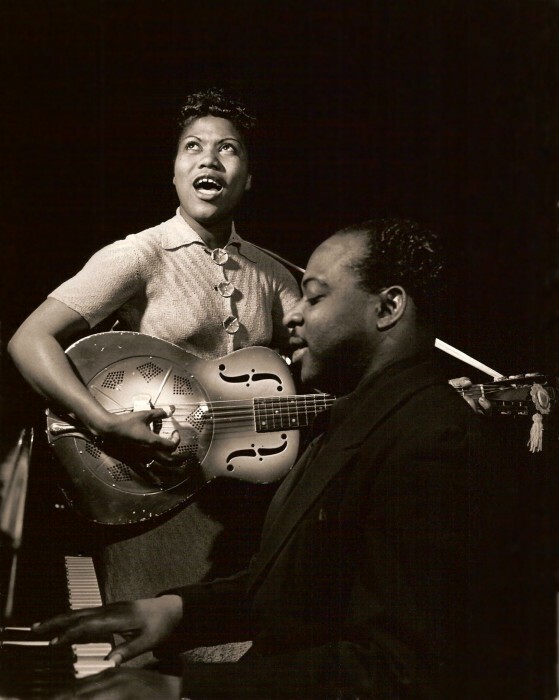 Sister Rosetta Tharpe performing in the early 1940s. 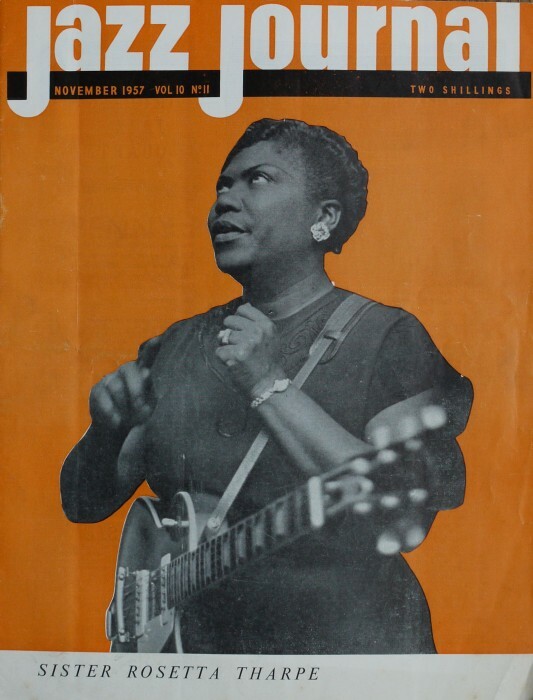 Sister Rosetta Tharpe on the cover of the British music magazine Jazz Journal in November 1957. A Decca Records advertisement from the late 1940s. 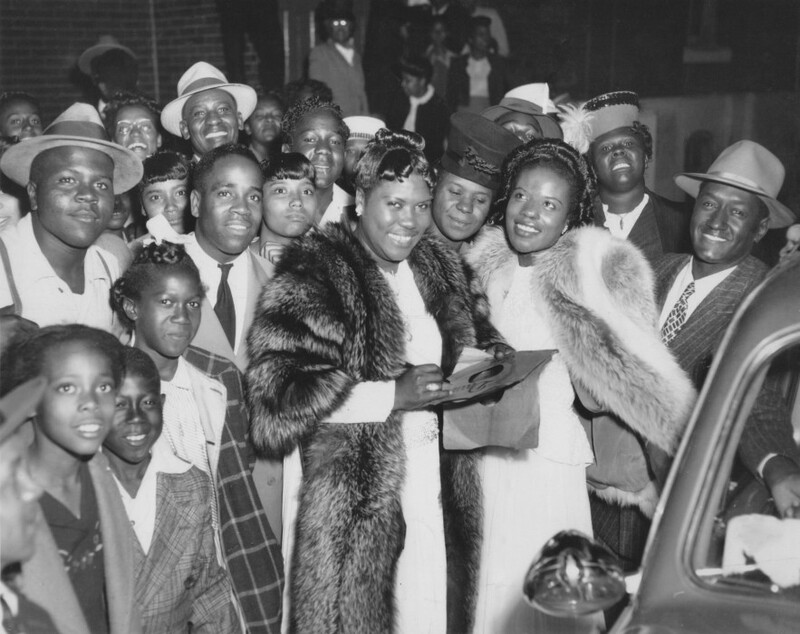 Sister Rosetta Tharpe (in fur coat) and Marie Knight (on the right with a fur stole) with fans after a concert in St Louis on 3 June 1947. Photo Credit: Photo by Karl’s Photo of St Louis from the collection of Mrs Annie Morrison. 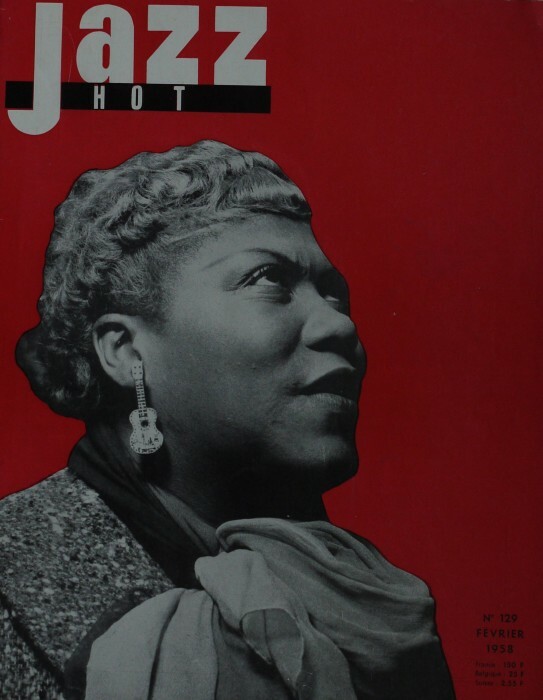 Sister Rosetta Tharpe on the cover of the French music magazine Jazz Hot in February 1958. 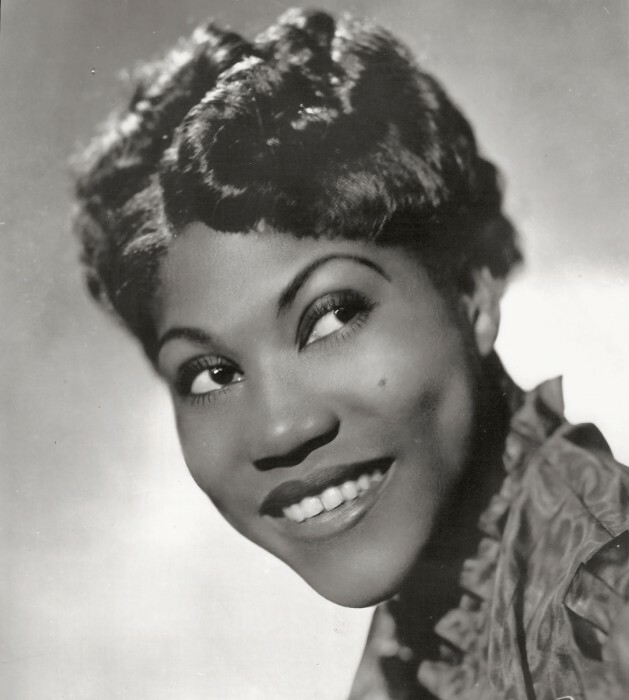 Portrait publicity photo of Sister Rosetta Tharpe in 1938 at the age of 23. Photo Credit: Photo taken by James J. Kriegsman. Photo courtesy of the Schomburg Centre for Research in Black Culture. 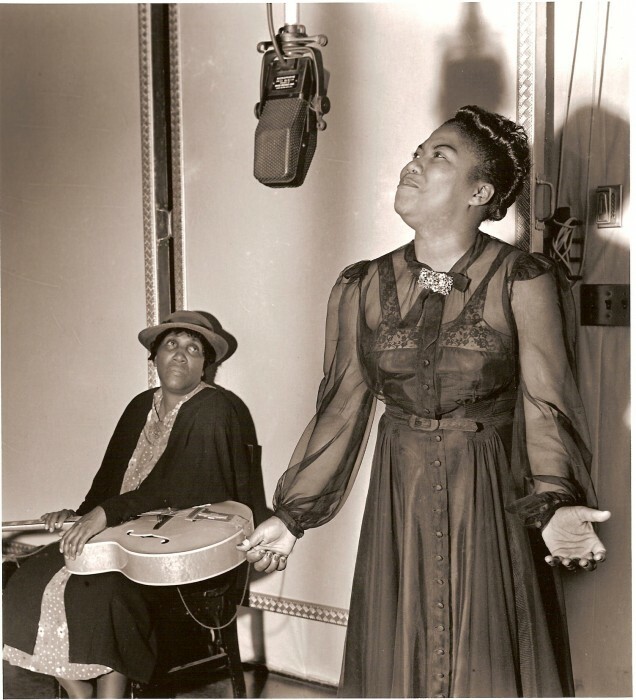 Sister Rosetta Tharpe recording at Decca Records with her mother Katie Bell holding her guitar in 1941. Photo taken by Charles Peterson. Courtesy Don Peterson. 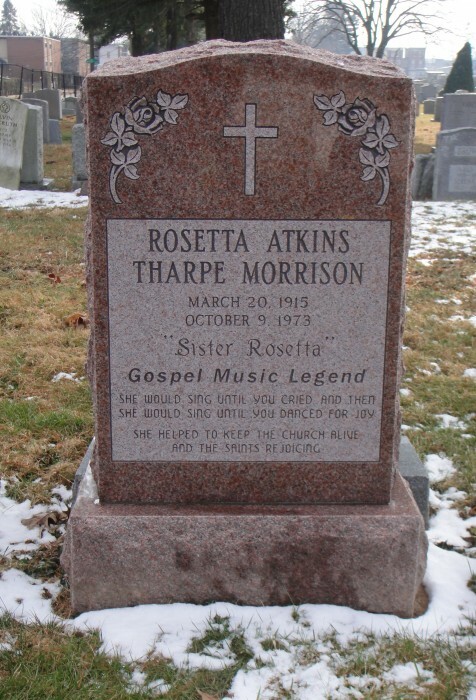 The headstone at the grave of Sister Rosetta Tharpe in Northwood Cemetery, Philadelphia.